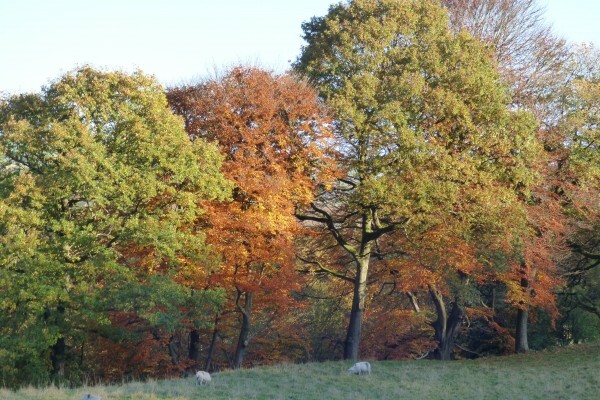 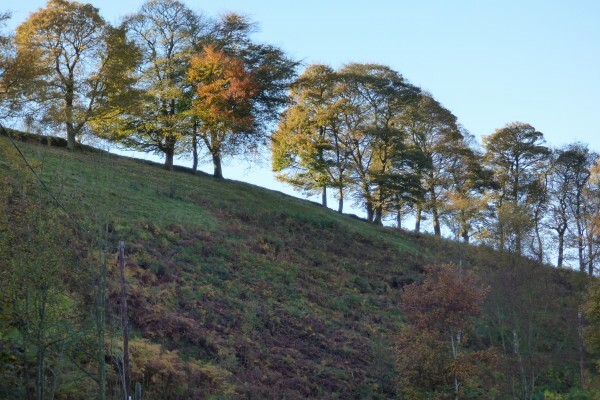 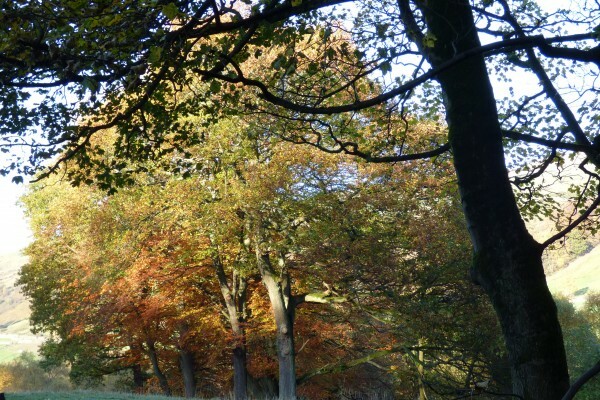 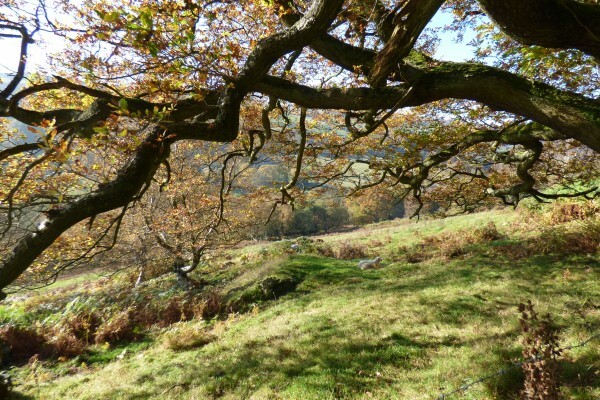 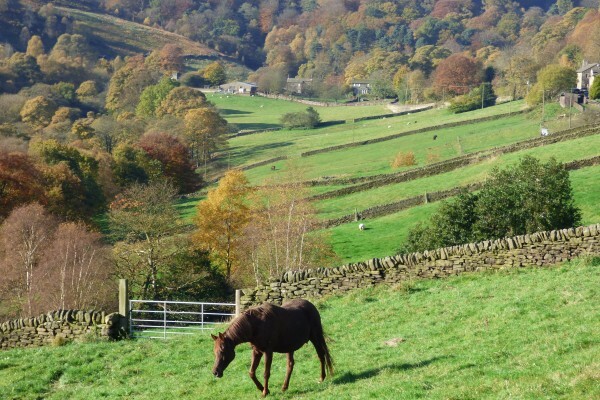 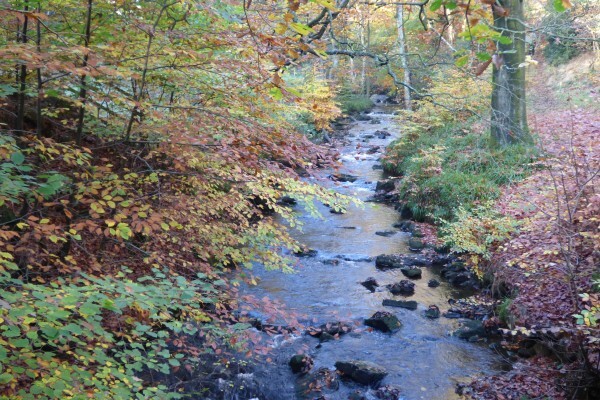 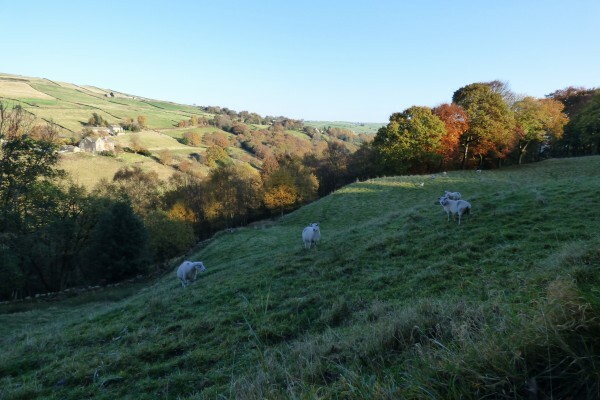 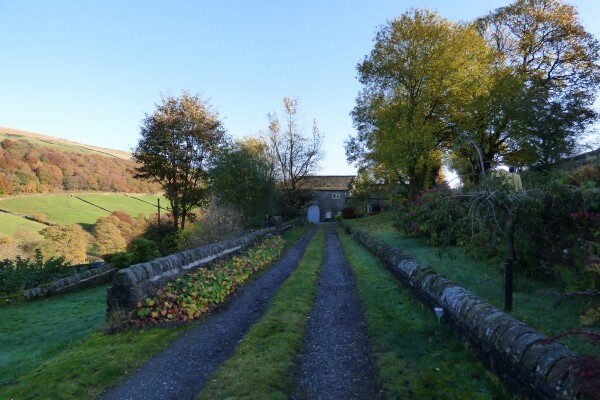 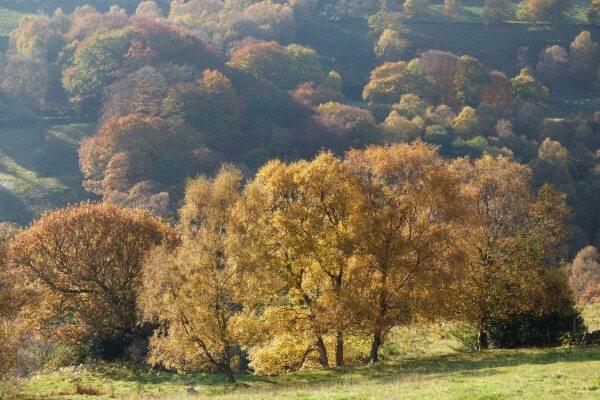 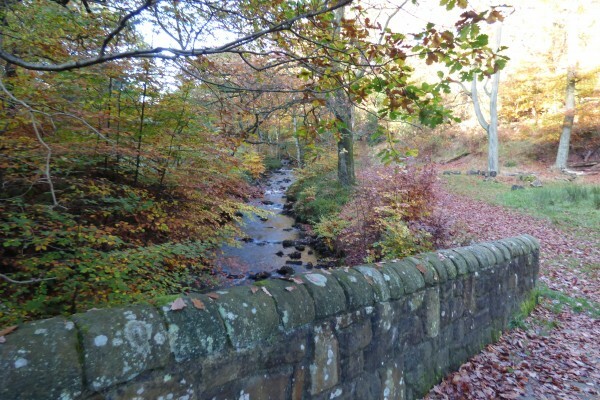 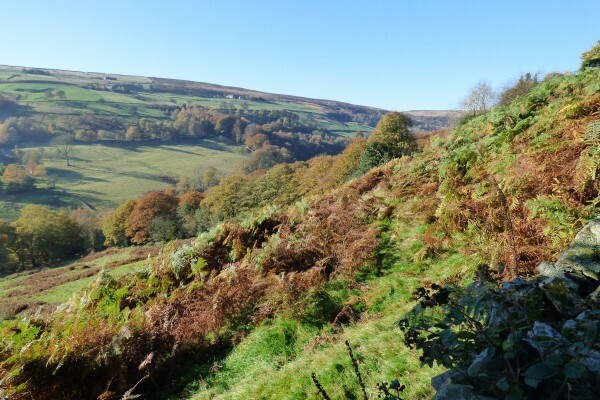 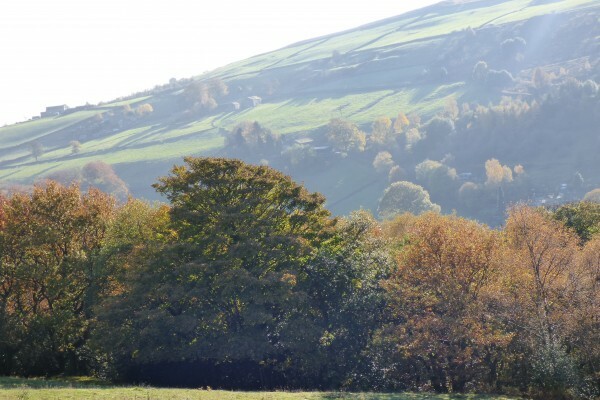 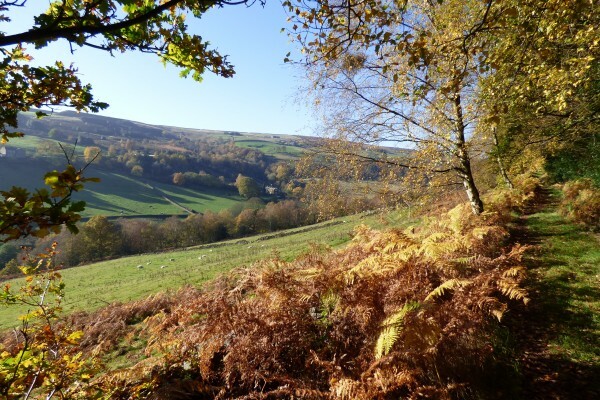 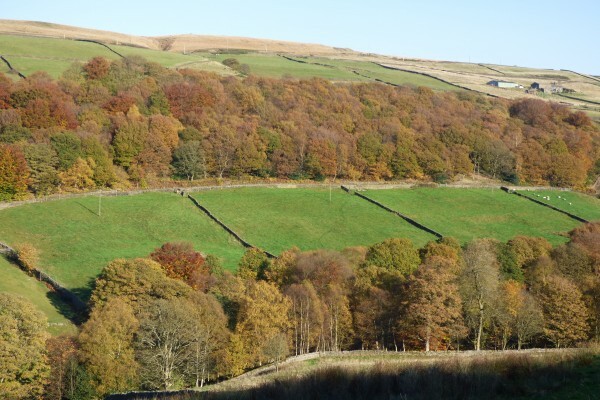 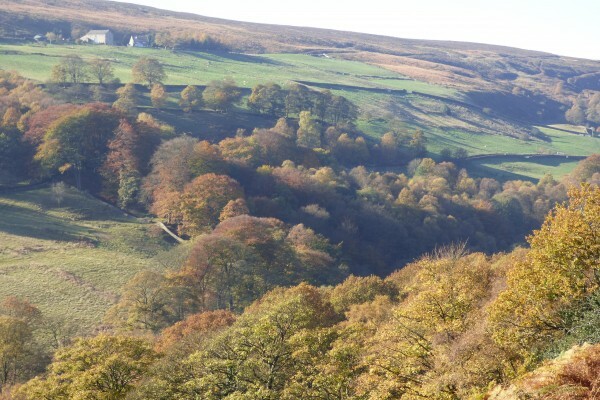 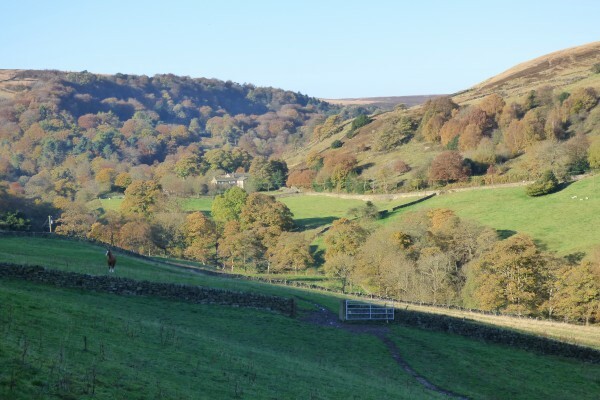 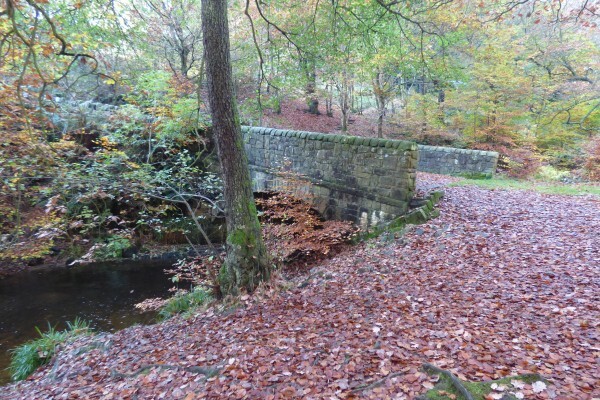 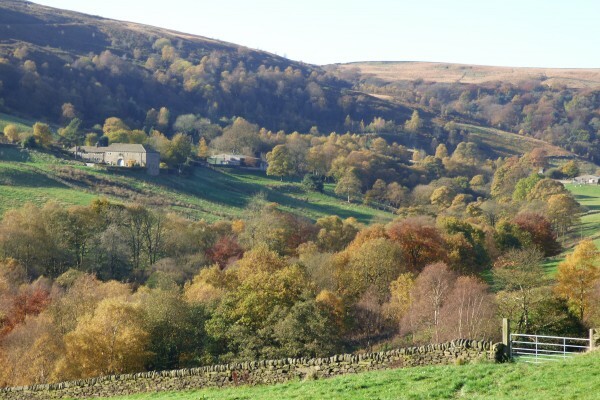 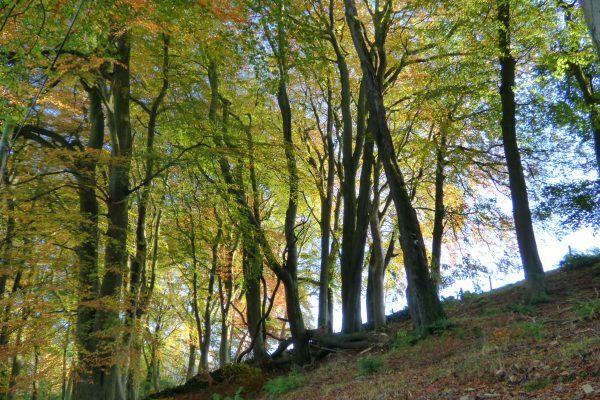 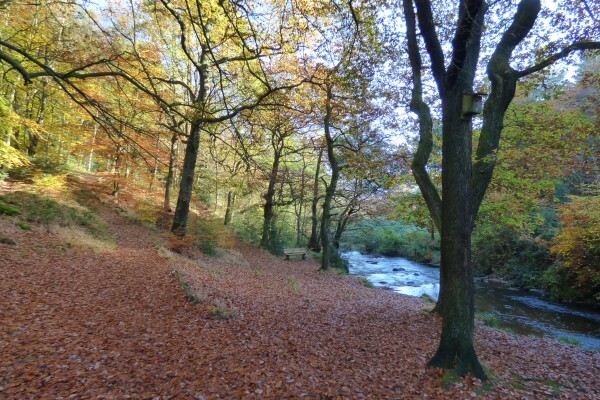 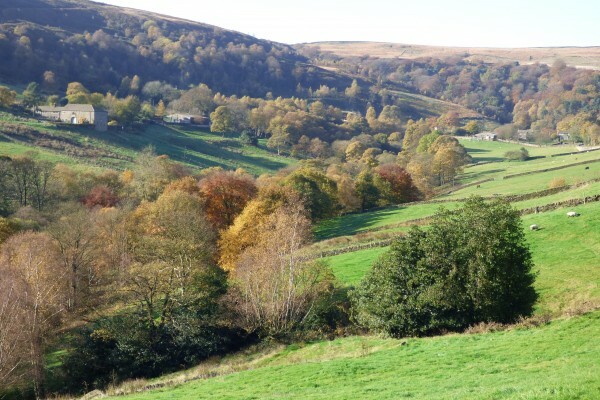 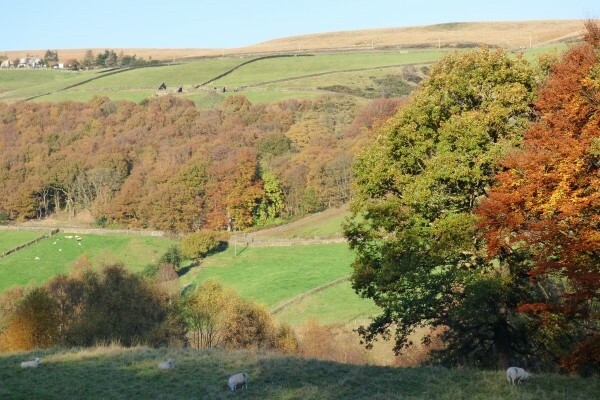 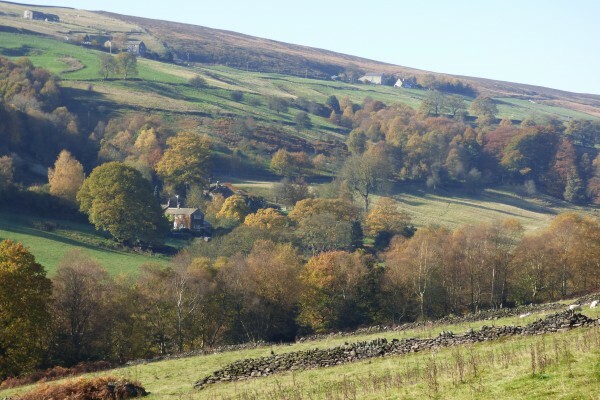 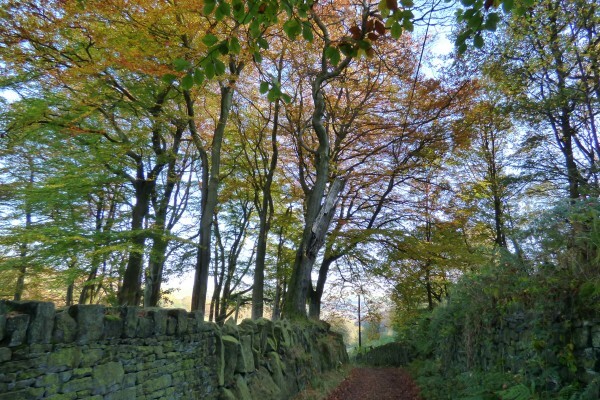 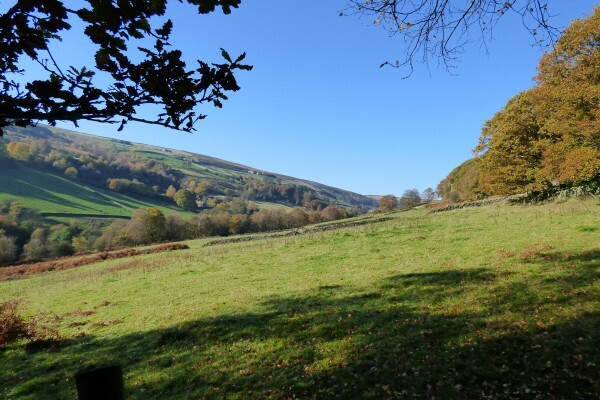 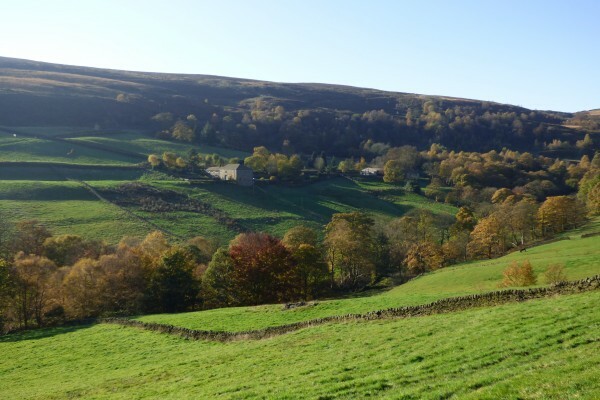 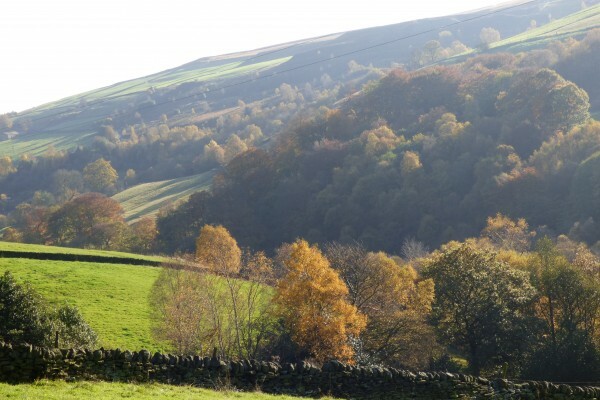 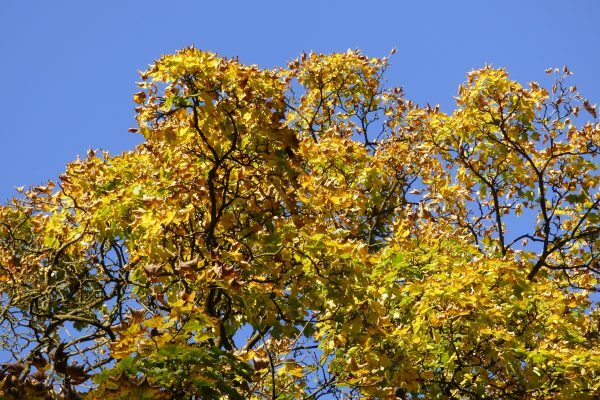 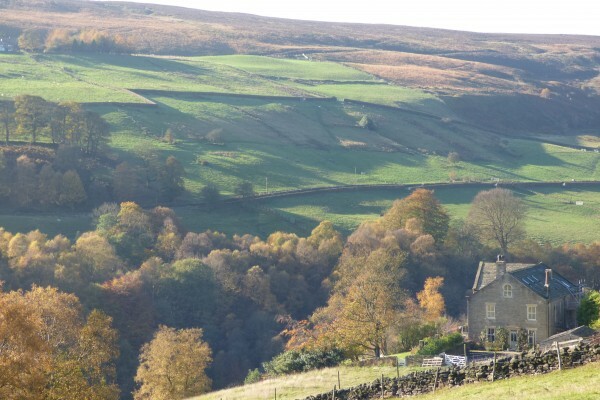 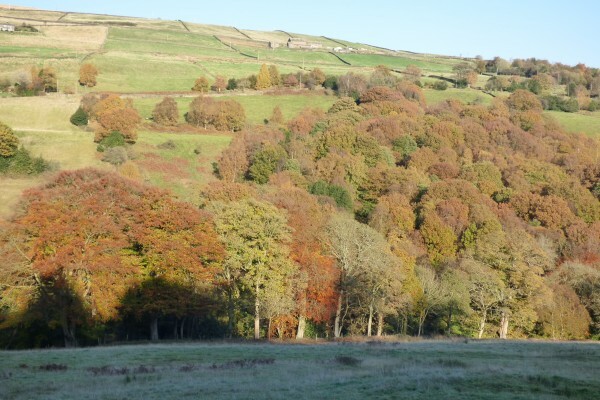 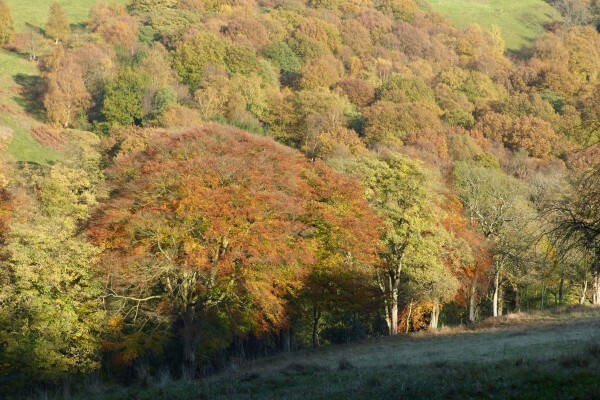 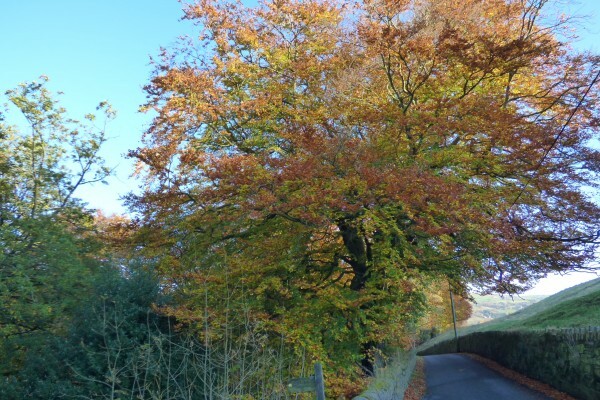 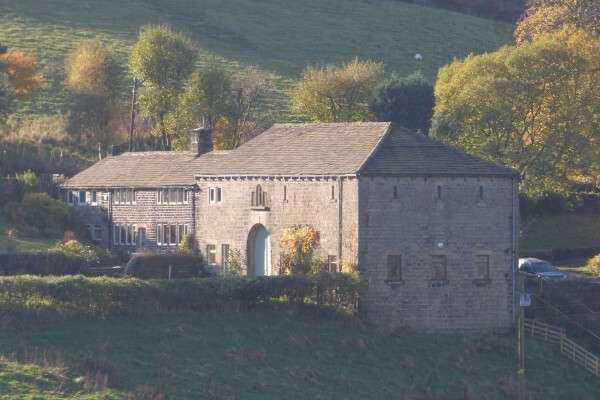 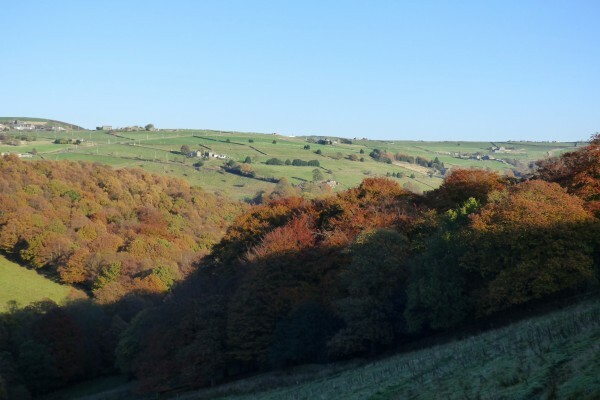 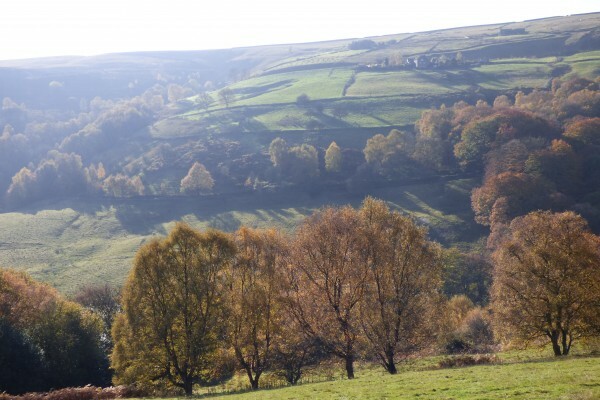 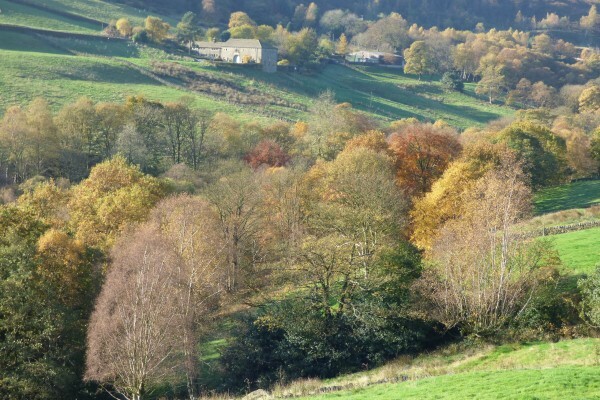 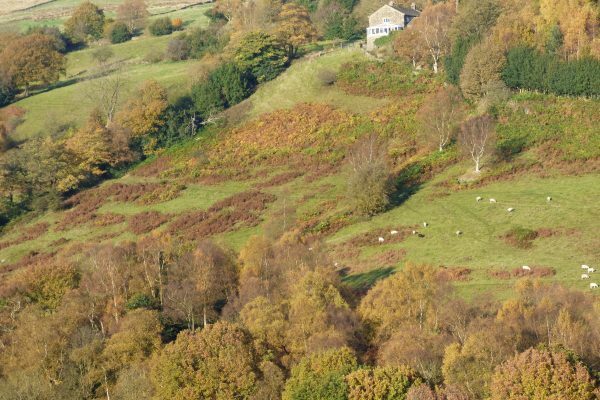 Autumn is particularly beautiful in the countryside around Elmet Farmhouse because of the profusion of steep wooded valleys, known as cloughs or deans, branching off into the hills from the main Upper Calder Valley. 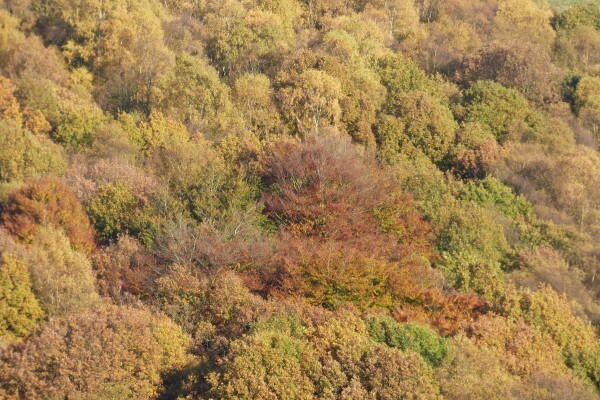 As the leaves begin to turn in October, the woods take on rich gold and chestnut hues. 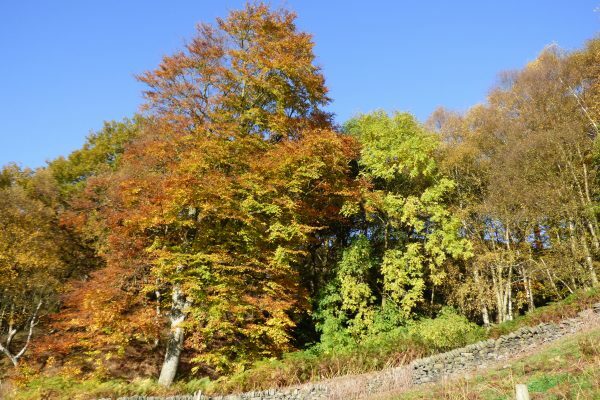 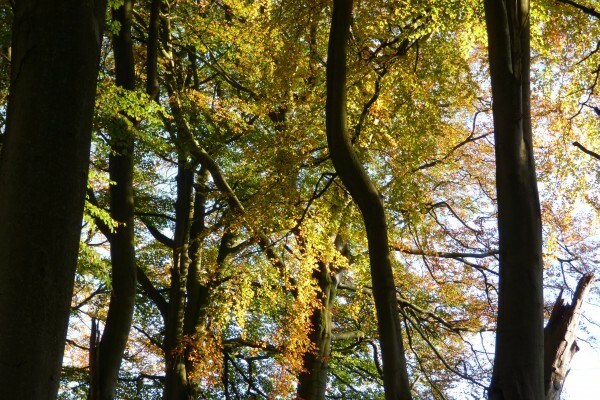 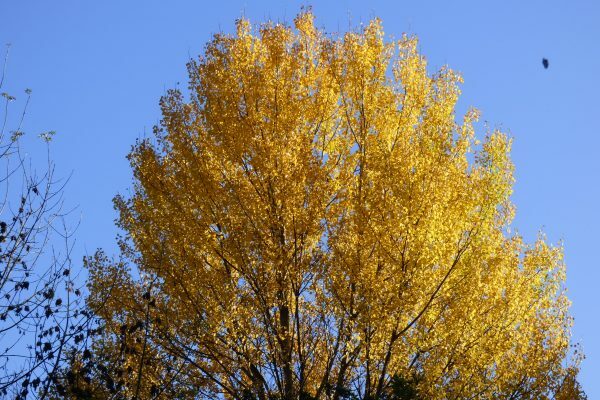 The beech trees are particularly vibrant, creating a canopy of burnished gold, while the silver birch and larch turn an arresting shade of bright yellow. 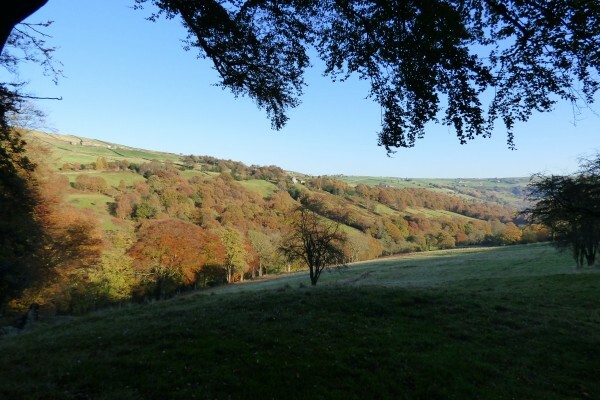 Whether you’re up on the hillside looking down onto the woods in the valley below, or standing under the trees looking up to the sky through the golden canopy, it’s a glorious sight. 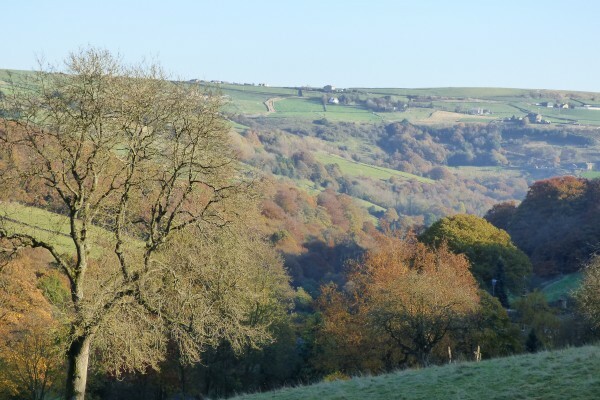 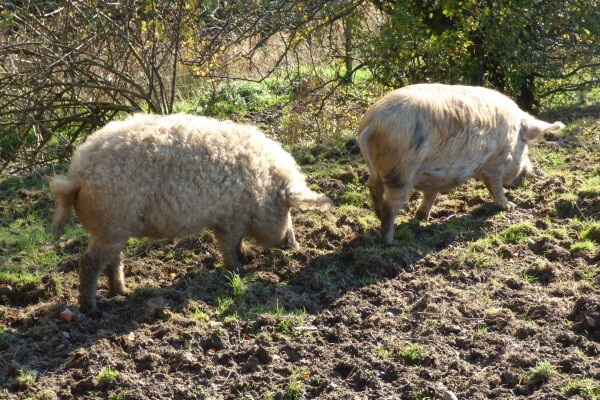 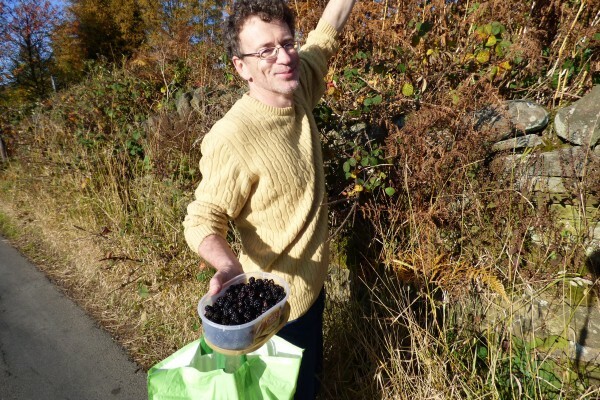 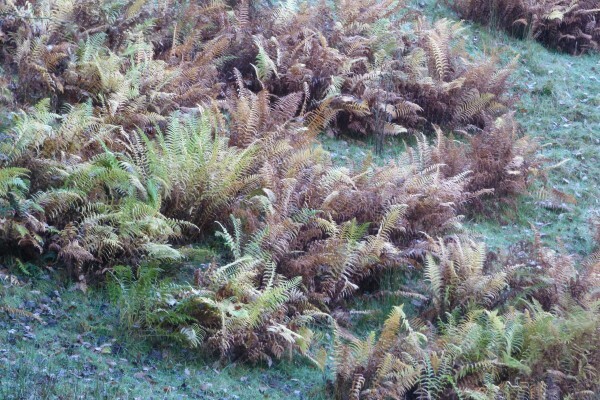 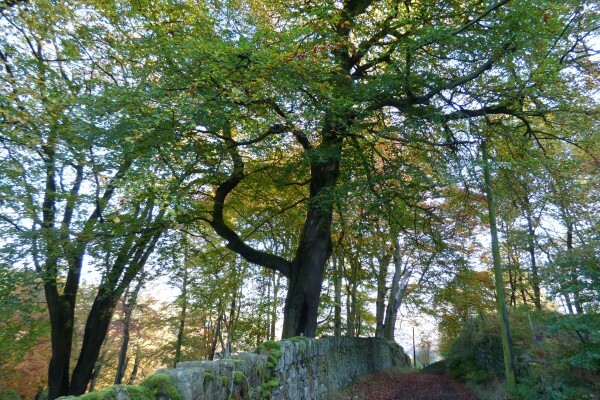 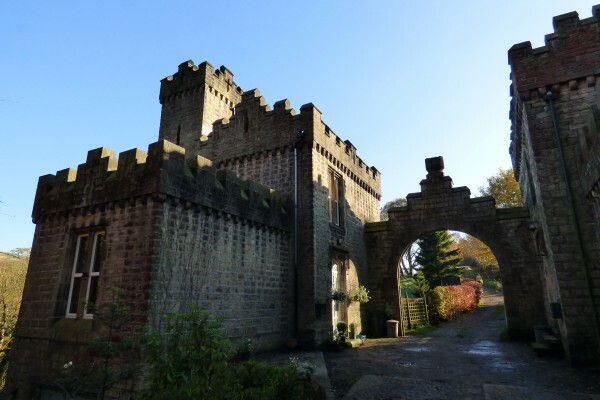 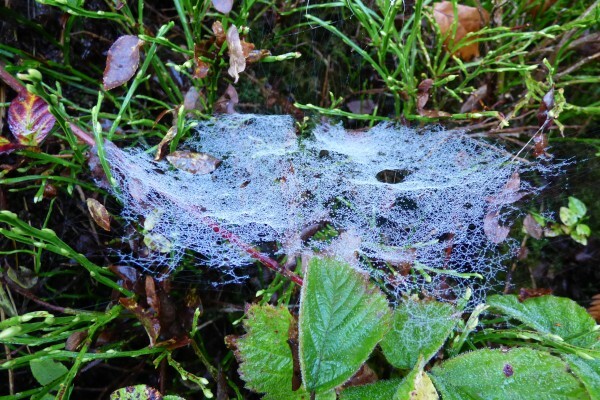 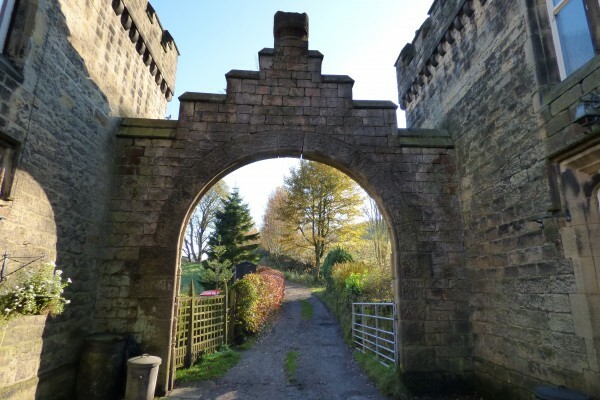 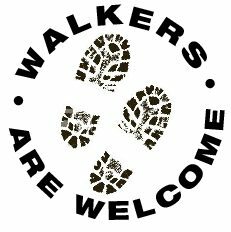 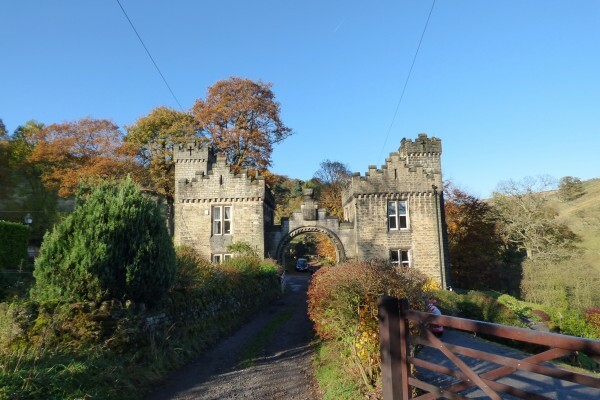 These photographs record a late autumn walk around the idyllic Luddenden Dean valley on a wonderfully sunny afternoon on 1 November 2015, starting at Jerusalem Farm and looping round via the impressive crenellated gatehouses of Castle Carr.